According to the king list, Akshak defeated the Third Dynasty of Kish to claim the kingship. Situated on the northern borders of Akkad, it is sometimes identified with Babylonian Upi (Greek Opis). Its exact location is uncertain, but it was probably near Eshnunna, on the banks of the the River Diyala. It first appeared in written records in about 2600 BC and during the period of its ascendancy, in the twenty-fifth century BC, it was at war with Lagash. This is the twelfth set of entries on the Sumerian list comprising kings 67-72. Six kings ruled for 99 / 116 years (Lists 1 & 2), or five kings ruled for 87 years (List 2). Here, List 1 is primarily used, backed up by List 2 and List 3 (see Sumer for details). 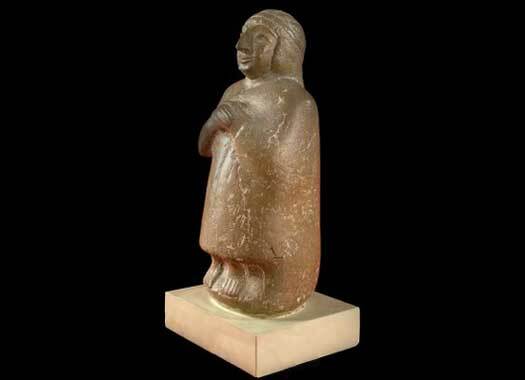 Possibly the same person as Urur, and placed at c.2417 BC. Ruled for 30 years. A possible vassal of Ur (until c.2445 BC?). Urur leads the northern coalition against Eannatum of Lagash, but it is defeated, routed, and chased to the gates of the city of Akshak. Urur recognises the supremacy of Lagash. Akshak presumably gains the kingship from Kish around this time. Son. Ruled for 7/24/14 years. The Fourth Dynasty of Kish reclaims the kingship. Akshak is captured by Lugalzaggesi of Umma, and presumably becomes a vassal thereafter.